If you are in transition and don’t know what you want to do for a living, here’s an easy way to find out. Listing what you liked and disliked about your former jobs will help find your new job. When people find out you are in transition, they ask you what you are looking for, but you don’t have an answer. You have worked at a number of jobs. There are things you liked and disliked about each one. Now you are in transition but don’t know what you want to do. The only thing you do know is what you don’t want to do. You’re looking for something in a haystack, but don’t know what it is. How do you decide what you want to do? The best thing to do is to contact a career coach to help you figure out what you want. 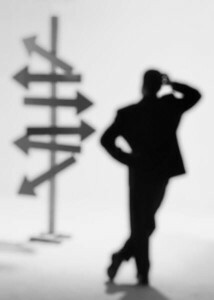 The career coach is trained to help you assess your personal and employment needs to decide on a new career. The career coach can recommend a career assessment and interpret the results. Then help you create a résumé and a cover letter to submit for positions you find that match your interests. You can do this on your own if you want to try it out before hiring a coach. On a sheet of paper, draw a line down the middle. In one column, list all the things you have done that you enjoyed doing. The other column is for all the things you hated doing and never want to do again. After you have finished, go through the list while looking for common threads in both columns. Do you see a pattern developing? Helping people, working with numbers, being creative, working with pets or maybe doing repetitive tasks are some things you could find. The website http://www.mynextmove.org/ has three options for you: “I want to be a…”, “I’ll know it when I see it.”, and “I’m not really sure.” Select the option that best suits you and enter keywords in the box to see what your choices are. When you click on a career you are interested in, you will find the skills, knowledge, education, abilities, and the personality you need for the career. Additionally, you will find the prospects of the career including estimated salary. Sample all three options. Insert the keywords that match your interests and look at the results. Explore the outcomes to see what interests you. Whether your job has been off-shored, out-sourced, or just doesn’t interest you anymore, there are ways to find your new career. My best advice is obtaining the assistance of a professional career coach trained in career exploration. If you want to try it yourself first, information you obtain at http://www.mynextmove.org/ will surely get you started.